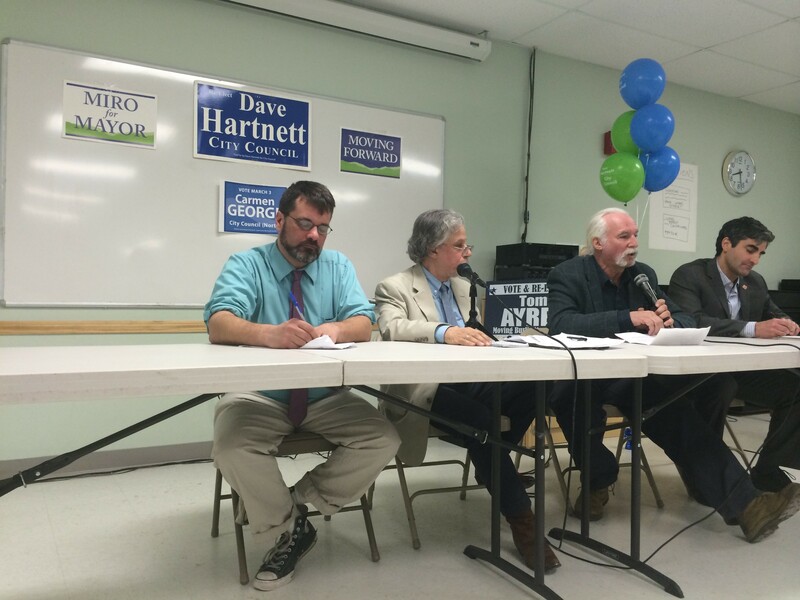 In terms of cash, the race for mayor of Burlington is anything but close. Incumbent Miro Weinberger continues to rake it in while his three opponents remain far, far behind. The Vermont Secretary of State's online database had no report for Libertarian Loyal Ploof as of Monday evening, suggesting he hadn't hit the required $500 threshold. His opponents have spent all — or more — of the money they've raised. Goodkind has spent $5,451, while Guma said he has spent $13,742. During an interview last week, Goodkind said his goal has always been to raise between $6,000 and $8,000. One week from the election, he’s hit the lower end of that threshold — but only because he’s loaned himself roughly $3,000. Thirty-nine people have donated to his campaign. Goodkind also said he had no plans to purchase television ads in an attempt to reach a wider audience. Instead, he’s taken the lower-budget route of recording video clips and posting them on his Facebook page, which has approximately 250 likes. The minimal fundraising is intentional, according to Goodkind, who criticizes Weinberger for “running the city like a political campaign” — a reference to the mayor’s money-raising, which began well more than a year ago. Guma's cash comes from 17 people, including $1,825 from his son and his mother. Unlike Goodkind, he's spent most of his money on ads, paying more than $4,000 total for space in Seven Days, a television spot on WPTZ and Front Porch Forum ads. The next filing deadline is two weeks after the March 3 election. In other campaign news, Weinberger announced today that the police and electrical workers unions endorsed him. In a statement, the Burlington Police Officers’ Association, which includes roughly 70 officers, said, "The mayor and his team have made themselves available to the BPOA like no other past administration." IBEW Local 30, which includes roughly 100 Burlington Electric Department employees, described the mayor as "transparent and evenhanded." Updated 2/24/2015: An earlier version of this story misstated the number of contributors to Greg Guma's campaign.